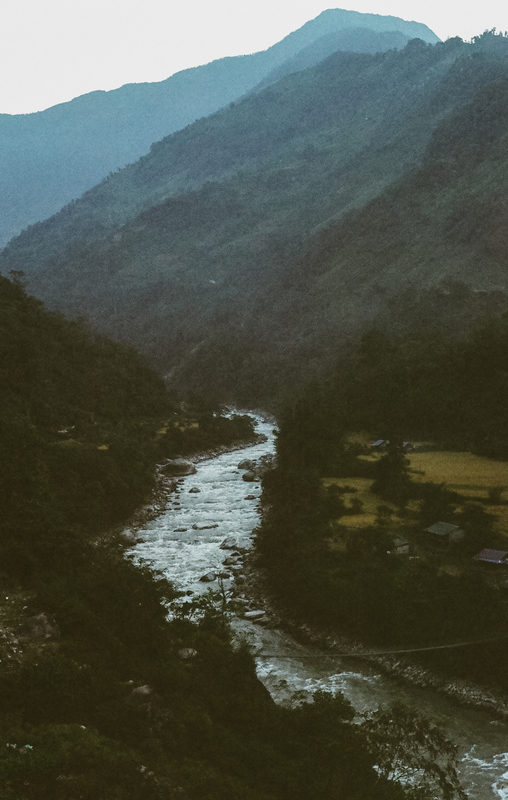 Day 7 of the Nepal trek was probably one of the most challenging days of the trip, both physically and mentally. 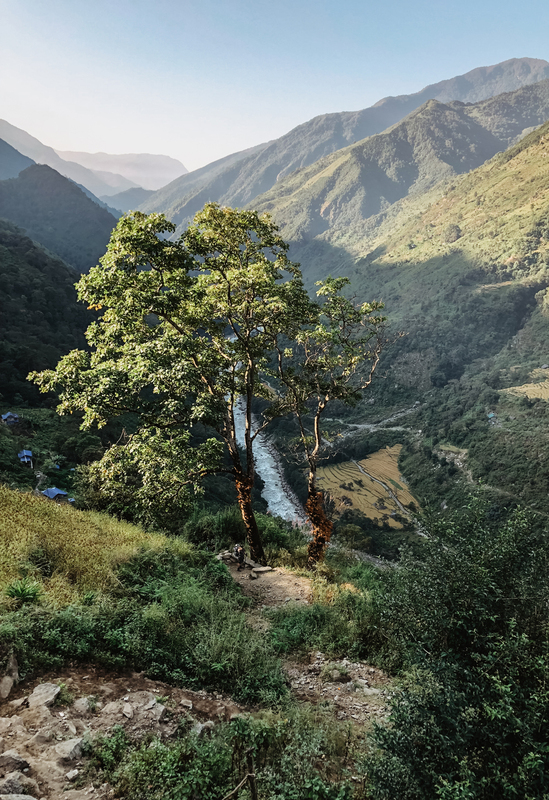 We started out on our upward journey in the himalayas towards Chepwa which would be our final destination before turning around to head back to Kathmandu. We hiked all day long on this day, gaining a decent amount in elevation by the end of the day. 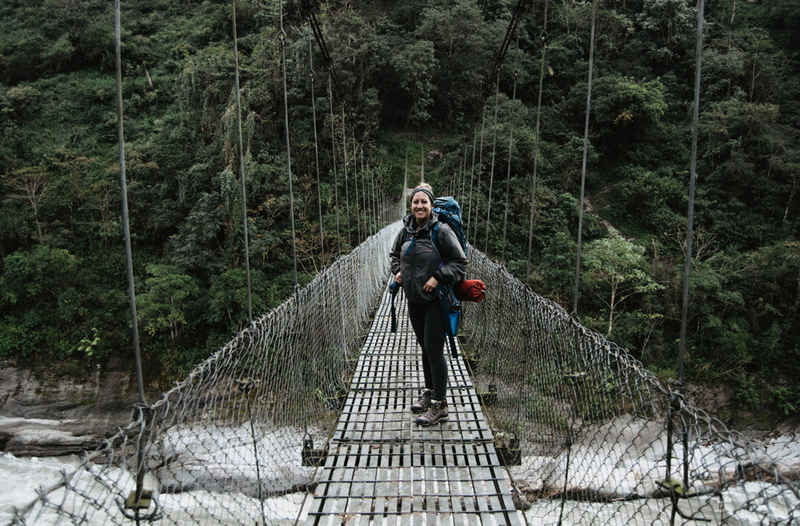 It is almost nearly impossible to describe how difficult and yet incredibly stunning the hikes are in Nepal. With each step over the next boulder going up your legs feel like they could crumble at any moment but you know you just have to keep going. Not only that but you then face the mental challenge of it all. I found that I did best with my head down and focusing on where I would take my next step rather than look ahead and see how far we had to go. Every corner you would think this is it and we’d still have several more hours of hiking left to do, so I just stuck to my eyes being fixated on the ground. In the process of hiking we did hike through some pretty moist areas and I ended up slipping and falling hard on my left knee after stepping on a rock that was covered in slimy moss, leaving me with some beautifully colored bruises. Thankfully we did take a decent amount of breaks to get our energy back, take in the views, and stop for some food. We were a little more than halfway up the hardest mountain we had to summit, at the time we were hoping would summit that day that day, but all of us were exhausted and we were worried that we wouldn’t summit until after dark, which wasn’t the issue because we all had headlamps. The issue was what was on the other side of that summit. It was a very steep down hill in the jungle areas of the himalayas which is extremely dangerous for anyone at night and with tired legs not to mention the rocks being wet and slippery. Given my earlier encounter that day of falling I was very much relieved when we decided to make camp at a little shack that sat on the edge of a small cliff. This sweet woman and her daughter lived their and allowed us to stay with them for the night. They had an adorable little kitten full of sass and spirit, we named her Scrappy and she was a welcomed comic relief and cuteness comfort after having such a long and grueling day. The great end to the night was getting to eat a hot bowl of prepared noodles made by our guide and the woman who let us stay in her home.